Birberssa has over 15 years of experience in delivering audit and business assurance services. Before formation of ASGB Partners he managed his own audit practice. Birberssa’s client portfolio ranges from small owner-managed businesses to large and complex entities. Birberssa has vast knowledge and experience of auditing in diverse sectors including financial institutions, construction, manufacturing, service, trade, public sector, higher education and charity covering areas of statutory and non-statutory audits. As a technical committee member of the National Steering Committee for Developing Accounting and Auditing Standards for Ethiopia, Birberssa played an active role in drafting and adopting Financial Reporting Law (FRL) for Ethiopia including International Financial Reporting Standard for Small and Medium Sized Entities (IFRS for SMEs). 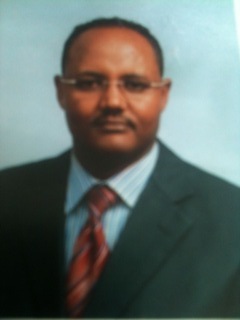 He has also worked as Financial Consultant for UNECA and World Bank Ethiopia Office. Birberssa is currently serving as Chairperson of the Board of the Ethiopian Professional Accountants and Auditors Association (EPAAA).